Just in time to celebrate the second anniversary of Blizzard's popular online shooter Overwatch, we spoke with two members of the game's development team about hero popularity, player toxicity and whether or not they'll be selling legendary skins any time soon. For the unfamiliar, Overwatch is a fast-paced, team-based online shooter set in a highly-stylized and globalist vision of the near future where members of a superpowered paramilitary group and face off against one another across a roster of unique battlefields. With Overwatch officially launching in May 2016, this month marks the game's second anniversary. 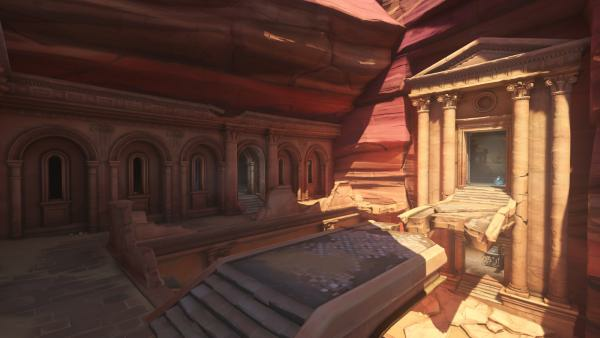 To celebrate, Blizzard have released a new update for the game that adds 50 new cosmetic items and a new map called Petra. We had the opportunity to briefly speak with Assistant Game Director Aaron Keller and Senior Game Producer Matthew Hawley about the occasion and about some of the big changes that might be on the horizon for the game. In past interviews, the Overwatch dev team have spoken about the possibility of eventually removing or 'retiring' heroes from the game's roster. He later clarified his comments saying that "We don’t have any plans to retire any heroes. The interviewer asked if there was a possibility that this could ever happen and I “left the door open”. "We’re not even remotely thinking about retiring heroes right now or anytime in the foreseeable future." 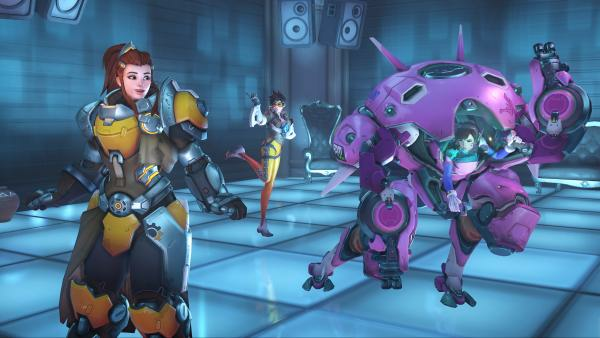 However, with 27 playable heroes now in the game, balancing Overwatch's meta has become almost-Herculean task and one will likely only become more and more difficult as that number rises. It's not hard to imagine how retiring certain heroes or changing the game's pool of heroes seasonally could help make things more manageable from Blizzard's perspective. It could also serve to make the game more approachable to new players. Still, Keller and Hawley expressed resistance to the idea, reiterating Kaplan's stance. They told us that while retiring a hero "always a possibility", it's not really something they're actively exploring or looking into at this stage. The same goes for the map pool in the game. At launch, the game featured roughly twelve locations spread across four modes. However, as of this latest anniversary event, the total map-pool has almost doubled (if you're including the new Capture the Flag and Deathmatch maps). They told us that "If it gets to that point" where the map choice or hero choice is overwhelming to players, they're willing to step in and address it. However, at this stage, they insist that it is not on the cards (with the exception of Symmetra, who won't be playable during the upcoming Overwatch League grand finals). Role-queuing is a feature often-requested by players that Blizzard have been hesitant to add in the past due to the general concern that it creates more problems than it solves. Essentially, this feature would allow players to select the hero or role that they want to play before they enter a game and Overwatch's match-making would group them together with other players using the feature. Ideally, this would make it easier for players to jump in and enjoy their favorite characters and reduce the chances of being in a match where one or both sides are saddled with a bizarre or noncompetitive team composition. Other online games like League of Legends have tried to implement this sort of role-queuing in the past but it hasn't always worked out. Hawley and Keller told us that while role queuing is a feature that gets discussed a lot internally, the fact that it "creates issues with both player behavior and queue times" will likely prevent it from coming to the game anytime soon. 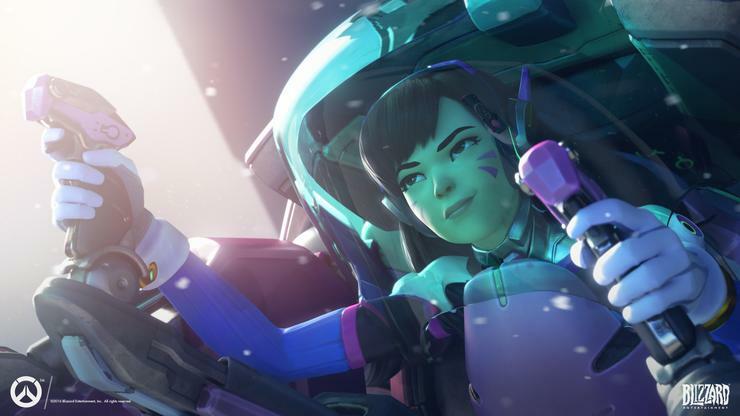 Speaking of toxicity, Blizzard have made combating negative online behavior across all their games a major priority over the last twelve months but particularly with Overwatch, which the company has been positioning as its premiere esport. Recent updates to the game have introduced a slew of new measures designed to curb toxicity, so we had to ask: is it having an effect? Keller and Hawley told us that"In short, yes [it is]." Unfortunately, they couldn't really delve into any specifics about the exact to which these measures are having an effect but it's a promising response nevertheless. While the arrival of a new hero to Overwatch's roster is often a very exciting occasion for players, Blizzard have also made a habit of reworking existing heroes if they're particularly unpopular or seen as nonviable in a competitive sense. Symmetra was one of the first heroes to receive such a rework last year. However, Blizzard are already moving forward with plans to rework her kit again after the first rework failed to make her a more popular pick in the competitive scene. Interesting, she isn't the only hero that Blizzard are looking to reconfigure in the near future. 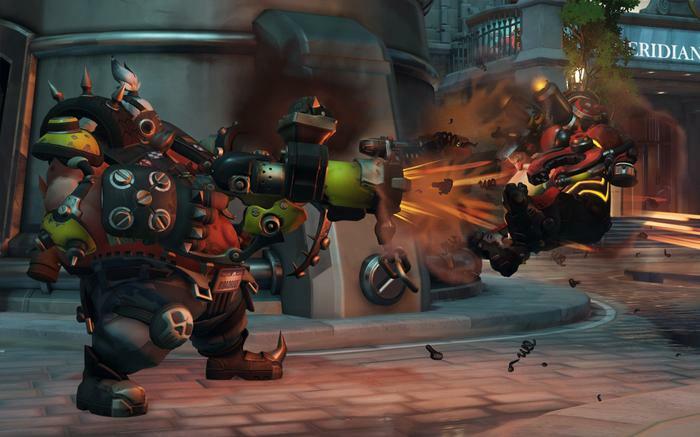 Keller and Hawley told us that a rework for the game's Swedish engineer Torbjorn is also something that's being actively talked about internally. While Overwatch still retails as a traditional full-price game, the bulk of the title's profitability actually comes from micro-transactions. While all in-game content (maps, characters and modes) are included upfront with your purchase of the game, players are able buy randomized loot-boxes filled with cosmetic items like emotes or new skins for their characters. 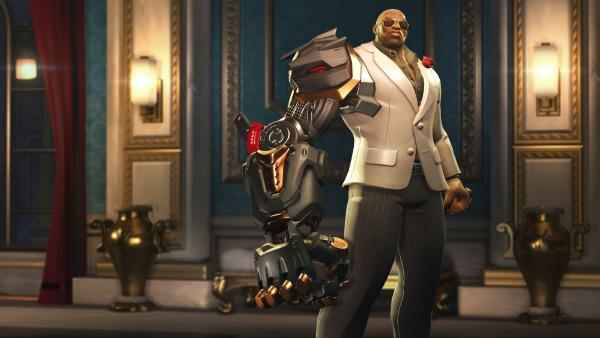 Some of these skins and emotes have become enormously popular among players and the inability to buy them outright or trade with other players can make some of these skins highly-coveted. 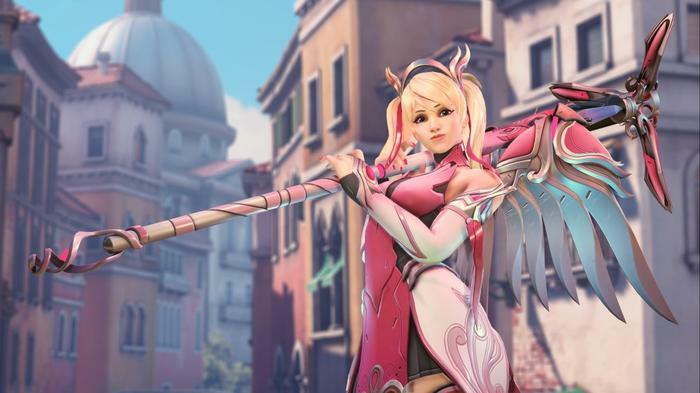 However, with the promotion and sale of the new Mercy charity skin, some have suggested that Blizzard have put a real-world price on in-game content, paving the way for more conventional micro-transactions to come into the game. Raising the issue with Keller and Hawley, we were told that such a change to the business model behind the game is unlikely. They insist that this is "not on our minds" and that the Mercy charity skin was a special case designed to raise money for charity. 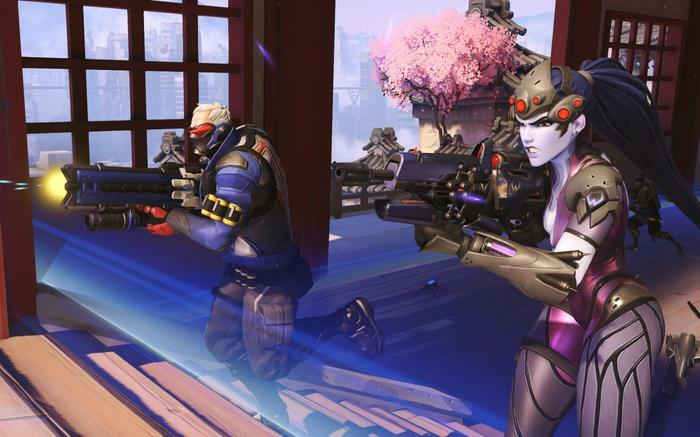 Overwatch is available on PC, Xbox One and PS4.